Siblings: James Bartlett 1772–1791, Samuel Bartlett 1775-1851, William Bartlett 1779–1781, William Bartlett 1784-? Died: 7 Feb 1838 at The Infirmary, Fisherton Anger, Wiltshire (part of present day Salisbury) and buried in the churchyard at South Barrow, Somerset with James. For too long the only reference we could find of a Susannah Oram dying in February 1838 was a Susannah Oram who died from congested lungs in Kingston-upon-Thames near London. As the family tradition is that Susannah died of cancer the certificate could have been ‘our’ Susannah’s but it implied that the family was rich enough to send Susannah a hundred miles for treatment. The discovery of the ‘Kingston’ Susannah’s will in the National Archives at Kew on-line library showed that we had the wrong Susannah as this one was a spinster from Shoreham in Sussex. Thanks to the work of Robert Senior (link to source to be added in this site XYZ) we know that Susannah was buried at South Barrow on 14 February 1838 having died in Salisbury. Susannah’s death certificate is in the name of Susan Oram, 65 year old dairywoman who died of mortification (gangrene) at The Infirmary, Fisherton Anger on 7 February 1838. The informant was GR Tatum, house surgeon at the Infirmary. This suggests that the family could afford to send Susannah forty miles to Salisbury for treatment, though it seems as if Susannah’s brother Samuel was her only relative who could have afforded to help her. 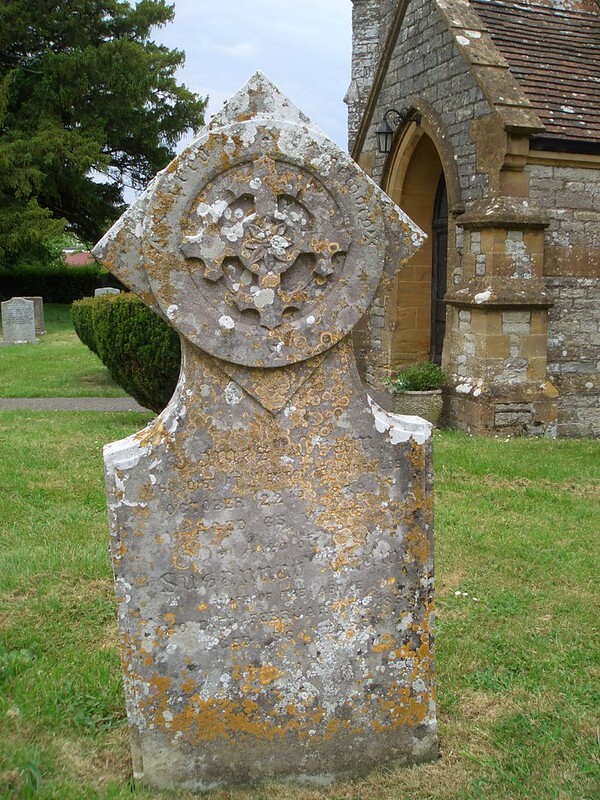 A red herring: Death Certificate of Susannah Oram who died from congested lungs on the same day as the Susannah Oram whose gravestone is pictured below. 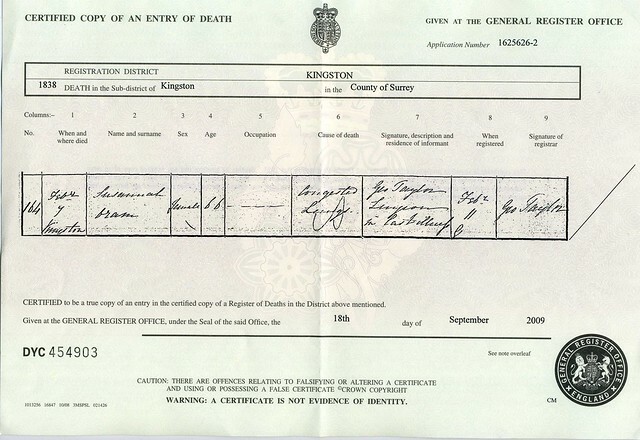 The death certificate shows that this Susannah died in Kingston-upon-Thames, Surrey and her will states that she was a spinster from Shoreham, Sussex. Two Susannah Orams dying on the same day is quite a co-incidence, especially as congested lungs can be caused by cancer and the oral tradition is that Susannah died of cancer.